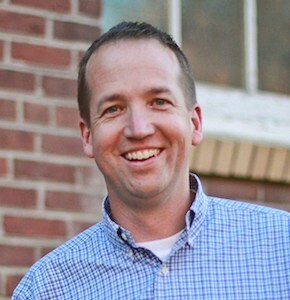 Stephen Redden, one of the pastors at Ecclesia church New Denver, recently returned from a sabbatical. We had some questions for him! 1. Stephen, you recently got back from a sabbatical. How long was your sabbatical, how did you spend your time and what are your brief thoughts/reflections from it as you return? Our elders created a policy that every employee of NDC will take a sabbatical week each year (beyond ‘vacation’ time), and every seven years they will take 12 consecutive weeks of sabbatical. I just returned from my first “seventh year” sabbatical. I was on sabbatical for 12 weeks – from early May to early August. My brief reflections are that this time was first and foremost a gift – certainly from God, but also from our elders and my fellow staff who made it possible. Looking back I don’t know if there’s anything I would change or do differently. My primary goal was to disconnect from my regular routine and engage in activities that would help me to rest and replenish my soul. By that measure the time was incredibly fruitful and successful. I wrote up some extensive reflections on my blog for anyone who would like to read more. 2. We know that New Denver Church has a strong culture of taking care of its pastors, including having regularly planned and expected sabbaticals for its pastors. How did the concept of sabbatical become a regular part of your culture? Where did that come from? It began as a part of developing our discipleship culture a number of years ago. At an Ecclesia Gathering in 2010 we were challenged by a session Doug Paul and Ben Sternke did on building a discipling culture within your church. One of the concepts they introduced us to that was core to the approach to discipleship they were teaching (which we later learned was from 3DM) was the idea of creating a rhythm of life that oscillated between work and rest. As pastors we began to see how we had neglected the practice of Sabbath in our own lives and began to pursue healthy rhythms daily, weekly and seasonally that would help us experience the freedom and life of honoring Sabbath. As we did that and began to share this idea, both through discipleship groups, leadership gatherings, retreats and Sunday messages, we began to see other people trying to bend their life around sabbath as well. Around that time (sometime in 2013) within the context of a discussion about ensuring the health and well-being of pastors and staff, our elders suggested coming up with a sabbatical policy. It started out as something for pastors only but they eventually decided to extend the benefit to all full and part-time employees of the church. 3. What expectations did you have going into the sabbatical? Honestly I think most of my expectations were negative! This was the first time I’d ever taken more than a week away from work, so I expected to go through some frustration and withdrawal from being productive. I expected to struggle with my sense of identity and value apart from work. Certainly I experienced some of that but not nearly to the degree that I expected. For the most part I was able to give myself fully to each day and let go of anxiety about being away from work when it did pop up. I don’t know if I’d call it an expectation, but I did wonder – “Is God going to drop some big revelation on me?” It’s funny how much that’s an expectation that’s built into an intentional spiritual practice like sabbatical. Fortunately I talked with some people I respect who’d done sabbaticals and wrestled with not having a “burning bush” moment so that helped temper my expectations a little that I wasn’t “doing it wrong” if that didn’t happen. But I was certainly open to it. 4. What surprised you the most your time? I think I continue to be surprised at how “noisy” my everyday life is and how “quiet” it was during sabbatical. I was fortunate to get to travel, either on my own or with my family, for most of the time of my sabbatical. Getting away from my everyday context and disconnecting from meetings, emails, and even our regular social schedule with friends helped me to see how full my life is. It’s full of great things that I’ve intentionally chosen, but nonetheless it’s full. And that fullness creates noise and often distraction. It was striking how life-giving it was to step out of that noise for a little while. What was surprising about that is I’m an extrovert and have always lived for experience and interaction with others. I’ve thrived within the fullness of life that I’ve pursued. But pulling away afforded me an ongoing sense of connection and dialogue with God by his Spirit that I’d never experienced before and have longed for since being back to my regular routine these last six weeks. I guess I discovered my introverted/contemplative side during sabbatical! 5. How did the Lord meet you in this unique time where you were given permission to pause, stop, rest and reflect? The primary way I perceived the Lord was through an ongoing sense of his presence and communion with me throughout the day. In a typical day my mind jumps from thought to thought, consumed with whatever is before me that day. “I’ve got a meeting in 30 minutes. I’m teaching this Sunday so I need to organize my thoughts on this topic or passage of Scripture. I need to return so-and-so’s email/phone call/text message.” And on and on. Once those things are taken away or significantly reduced, there’s silence and space to allow your attention to turn Godward. What was remarkable about these experiences was how unremarkable the “content” often was. I liken it to that point in marriage when you realize you can just be with another person without the need to say or do anything. That’s how many of my days felt during sabbatical. There was this tangible unmistakeable sense that God was with me in the moments of my day, but most of the time we didn’t have the need to tell the other anything or ask anything of the other. We just enjoyed each other’s company. This was a new experience for me. 6. We know you benefitted from the sabbatical, but how did your family benefit from it as well? The most valuable thing I think we can offer others is ourselves – our time and attention. In the course of our lives, we have to choose where we give our time and attention. I regularly struggle with how to decide how to do that in my everyday life. One of the gifts of sabbatical was the permission – more than permission, the direction – I was given to set aside giving time and attention to pastoral duties. The primary beneficiaries of that surplus of time and attention were my wife and kids. I spent time with my mom and some friends as well, but most of my time and attention during my sabbatical went to my immediate family. I don’t know if I can yet say what the benefit was for them in this. My hope is that the result will be deeper, richer relationships and a greater sense of perspective and intentionality in those relationships going forward. One of the primary realizations I had during my sabbatical was that due to the age of my kids (11 and 8) that I have ten very important years to invest in my kids before they launch out of the nest and ten very important years to invest in my marriage to prepare for life as empty nesters. 7. How are you different now that you’ve come back from it? What rhythms have been included into your daily/weekly life? And are there any things that have been trimmed back or completely eliminated from your life? It’s a terrible time to ask me that question! It’s been six weeks since my sabbatical ended, and I still feel like I’m in a period of disorientation, trying to get reoriented. Norton, my co-pastor at NDC, took his seventh-year sabbatical last year and warned me that there’s a sense that the learning from your sabbatical continues long after the actual sabbatical ends. I think that’s true. All real learning seems to follow this pattern of disorientation and reorientation. I feel like I have a greater sense of clarity around what I’m supposed to be about going forward, but I’m still figuring out how to move in that direction. That takes time. For now I’m trying to figure out how to hold onto the conscious awareness of God’s presence and give myself fully to the moment each day. That’s much harder now that I’m back in the “noise” of everyday life. Still struggling with that one. 8. What would you say to other pastors who are about to enter into a sabbatical or pastors who might want to think seriously about taking a sabbatical? First I would say listen to Nike and “Just do it!” I would say that not only to pastors but to anyone open to receiving the gift of an extended period of Sabbath. There are all these barriers and reasons why you think you can’t do it. Some of those are real, but a lot of them are self-imposed. I honestly don’t know if I’d have had the courage to do a sabbatical if our elders hadn’t forced it on us. But now that I’ve done it and experienced the benefit, I would say it’s totally worth it. If you’re about to enter into a sabbatical, seek out the people you know and trust who’ve done it and ask them about their experience (feel free to contact me if you want btw). There’s no “right” way to do a sabbatical, only a “right for you” way, but taking some time to discern goals and how to structure your time is important so that you make the most of the opportunity.